We received some great comments from last month’s Rampart Ridge Hike, and several requests that we include some hikes near the Paradise area of Mt. Rainier. 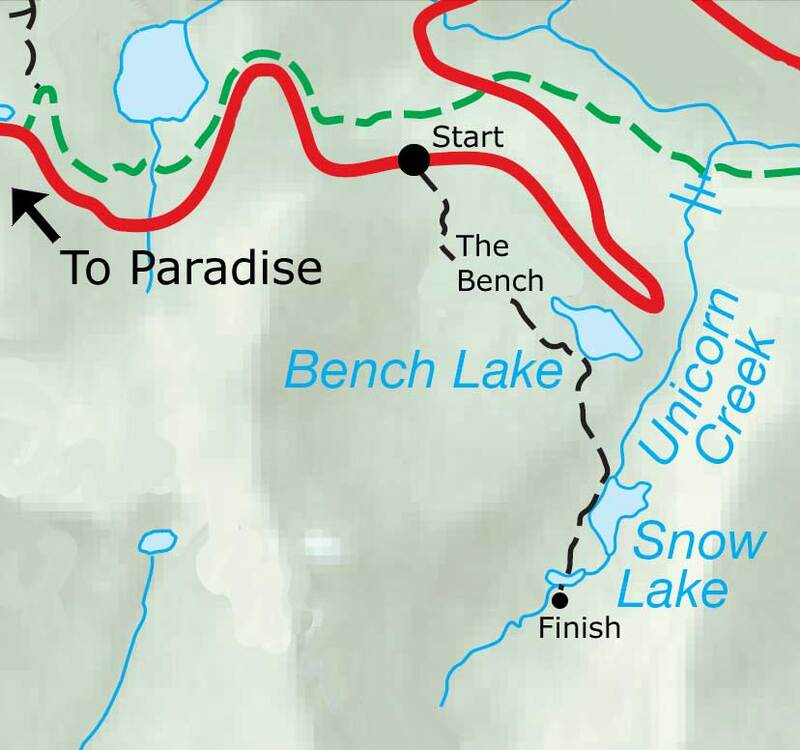 This week we thought we’d feature the hike to Bench Lake and Snow Lake, an easier and family-friendly trail that has lots of great scenery everyone can enjoy. 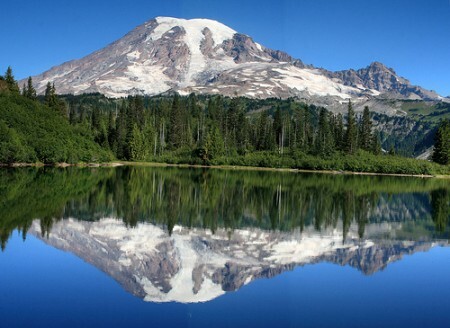 This 2.5 mile hike offers rolling meadows, beautiful lakes and an amazing uninterrupted view of Mount Rainier. Though these lakes are located just off the road a few minutes past the Jackson Visitor Center at Paradise, you’ll feel like you’re miles from everyone after dropping into the basin surrounding the lakes. The parking area is on the right side of Stevens Canyon Road, about 2 miles from Paradise. The trailhead will lead you South from the parking area and you’ll wind your way through the meadow area known as The Bench. 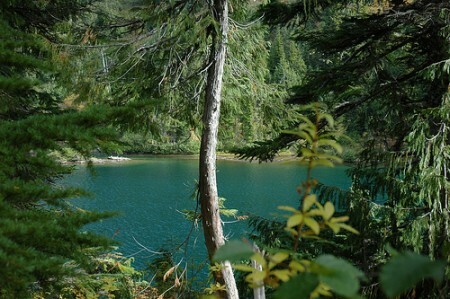 As you approach Bench Lake, approximately ¾ of a mile into your hike, you’ll get an uninterrupted view of Mt. Rainier and its reflection upon the lake. 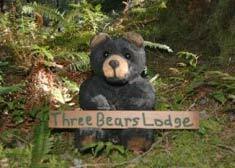 As you continue your hike you’ll follow the trail another ½ mile to reach Snow Lake. 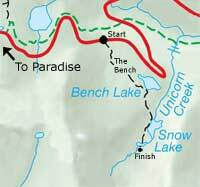 Snow Lake is formed by Unicorn Creek, which in turn is formed by ice and melting snow from Unicorn Peak just above the lake. The lake sits surrounded on the East, South, and West by a tall ridge, blocking most sunlight and leaving the lake almost as cold as the ice and snow above it. You can usually find blocks of ice floating in the lake throughout the year, leaving no doubt as to how the lake earned its name. The trail features rolling hills and a relatively short distance, so this hike is recommended for families with children and those looking for a quick day hike and some amazing photo opportunities in the National Park. This hike is a great addition to a stop at Ohanapecosh in the Southeast end of the park to hike the Grove of the Patriarchs path featuring old-growth forest and some of the largest trees in the region. Photo Credits: View of Mt. Rainier from Bench Lake & View of Bench Lake from the Trail. Next post: Bison vs. Buffalo: Do You Know the Difference?